Here is the list of the major software projects that I worked on since 1987. Some of them are no longer in use; some are still running on thousands of computers all around the world. This is the breadcrumb of my entire career or at least the larger bits of it. Excluded from this list are some smaller projects that I think are not relevant. I also excluded the projects that I personally own and that are available online. You can find those on my Personal Projects page. Currently I work for Lextech, a Chicago based company working on Windows Phone and Windows RT applications. After 2009 I started contracting and working on several projects most of them for Microsoft. I worked for Microsoft Research on Project Hawaii, Microsoft SQL Server on Power View (formerly known as Project Crescent) and for Microsoft Store. It was a string of smaller projects and most of the time executed under very intense and challenging schedules. This was a company where I got the chance to try out a completely different work environment compared with those in the larger groups I’ve worked in at Microsoft for the previous eight years. “Solutions IQ” is really fond of agile methodologies and treats them very seriously. I worked on a couple of projects for customers like AT&T and Lynden. Most importantly, I got familiar with things like Scrum and pair programming. I also got the chance to take my Scrum Master certification. In 2003 I moved inside Microsoft from Visual Studio to the Microsoft Project team. It was just before the start of a new product cycle that concluded with the 2007 release of Microsoft Project Server. I was lucky enough to get the task of re-designing and re-writing from the ground-up a major feature in the product. This was the Project Server Reporting Database with all the backend code around it. It was mostly C# and T-SQL. I also did a significant amount of work on the server component that handled building the Project Server Analysis Services Database (OLAP cubes). In this team I’ve got the chance to dive deep into multithreading, security and performance both in SQL Server and .NET. In 2000 I came from Romania to United States for an interview with Microsoft. I got the position and in October of 2000 I started to work on a team in the Development Division. This was a small group responsible of building Visual Studio and .NET Framework. I was part of a small team that worked on a system that automated the build for the entire Visual Studio product, run automated tests, isolated errors, detected the most likely source of errors, sent email notifications and so on. This work also included an automated check-in system that was designed to serve hundreds of developers. As in any very large development organization, submitting changes in the source repository by so many developers comes with a very specific set of challenges around the stability of the code base. Our system validated the check-in requests coming from the developers and automated the check-in process. To be able to serve the large load the system run in parallel on more than one hundred computers. After two years on working mainly on a CAD system, I was involved in a warehouse automation project for a factory (Hakle) in Frankfurt. 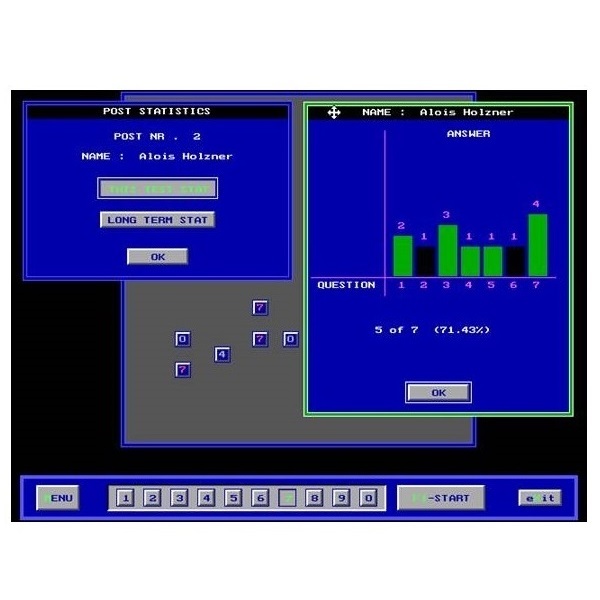 The project was a collection of more than 25 different projects that run on handhelds and PCs managing a set of databases, user input, sensors, barcode printers, barcode readers, and in general all kind of automations. In 1996 I was hired by a small company that had several projects for a German client. For a couple of years I worked on designing and building a CAD system that was used to visualize and control large scale automations in big factories or warehouses. I was also involved in a few automation projects that took place at various sites across Germany. That was the first time I got to write code for handheld devices. All in all, quite an interesting place to work. This was an application written to monitor and evaluate in real time students taking multiple choice tests. It was the result of the collaboration between me and a former professor with whom I have worked in the past during my college years. Below are screenshots of this application. This was a collection of applications used to design and print needlepoint maps. A combination of image editing and image processing features allowed a user to scan a picture with tenths of thousands of color levels and transform it to a point where it could be used for needlepoint maps. It involved some complex math and it included a specialized editor customized for this type of market. For a while I sold needlepoint maps that I created using my own system. Later I sold the system itself to specialized companies. During my college years I stared to collaborate with a medical laboratory specialized in nuclear medicine. This collaboration resulted in a few projects. 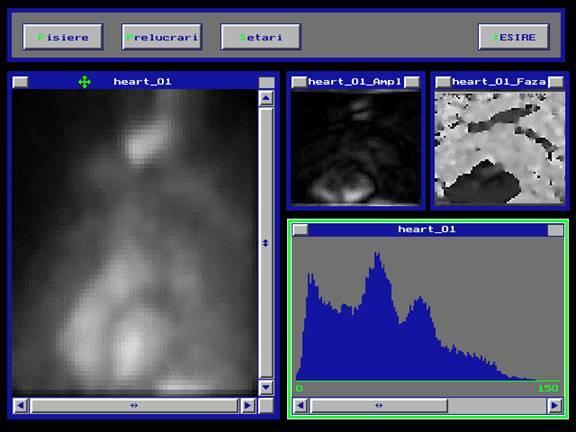 The largest one was a system that processed images of beating hearts using math like Fourier transforms. Bellow is the screenshot of the application during such processing. This was part of my bachelor’s degree dissertation. It was a system for signal acquisition, processing and control. 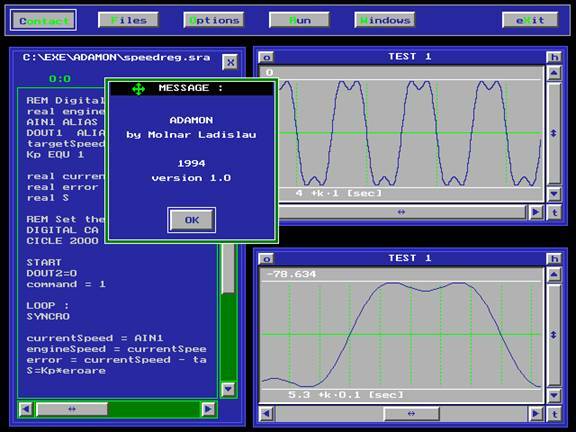 It had its own simple language, a compiler and a user interface that was used to visualize the result of the acquisitions or processing. Below is a screenshot of this application. In the left area is a fragment of code and on the right a representations of some electrical signals. 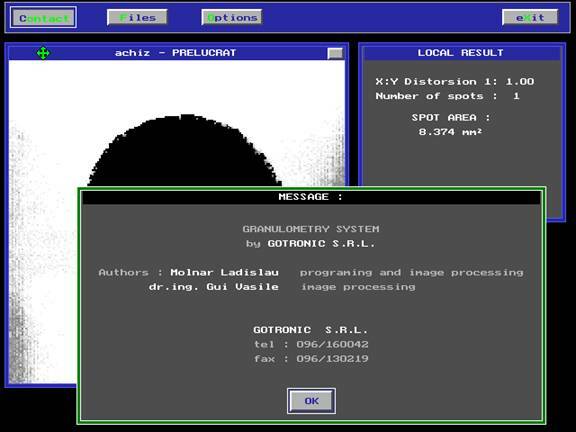 This was another image processing system this time with applications in granulometry. Granulometry is the optical measurement of the size and size distribution in a set of grains. It has industrial applications in areas like mining and medicine. Here is a screenshot of this application. While still in college, I got an offer to work for a small company that designed a small resolution / high intensity LED panel that was capable to play simple advertisement videos. The small resolution presented specific challenges and my job was to design a software system that was to be used in designing, visualizing and scheduling the clips. Here is a screenshot from the clip designer application. This is the beginning of a clip for a company whose name translated in English means “Hummingbird”. If you don’t understand most of the words in the screenshot don’t worry – they are in Romanian. I was already programming for a few years as a high school student before I embarked on this project. Around 1986 my country started producing a microcomputer based on the Z-80 microprocessor. 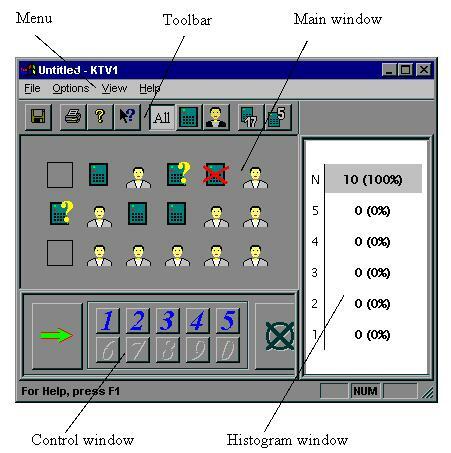 It came equipped with a simple monitor application and a BASIC interpreter. It lacked any kind of assembler / disassembler and I decided to write one. After a few months of painstakingly writing directly in binary code I had a functional symbolic assembler / disassembler.